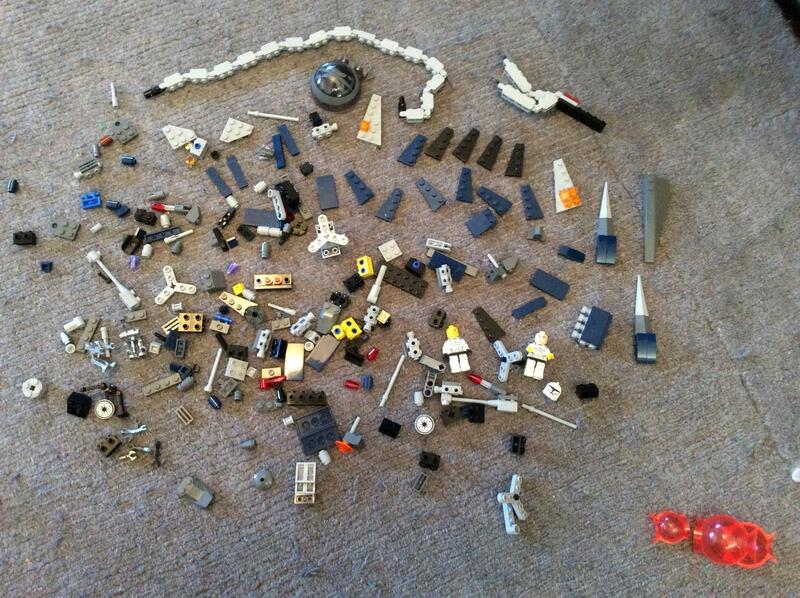 Can anyone assist me to identify this set of LEGO. It's probably from between three to eight years old. I found the pieces but no instructions. I'm not sure if the orange pieces in the bottom right hand corner belong to the set or not. I don't think all the pieces are from one set. You have definitely got parts of the 8015 Assassin Droid Battle Pack in there (the grey and white tipped parts on the purple curved slope pieces are for sure from that set). But you seem to be missing most of the droids (only two droid bodies and a few arms, no heads). The two Star Wars figures are from another set - the one with the black hands appears to be minifig number sw201 - Clone Trooper Clone Wars, but since minifigs can be recombined this might not be correct. 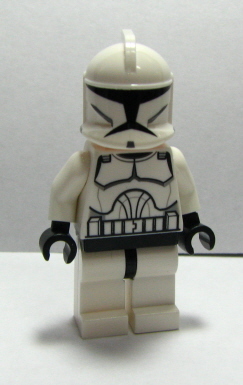 Both Stormtrooper minifigs seem to have the same torso (at least from what I can make out from the photo) but one of them has yellow hands - I cannot find such a stormtrooper on BrickLink nor a set that has both black AND yellow handed stormtroopers. 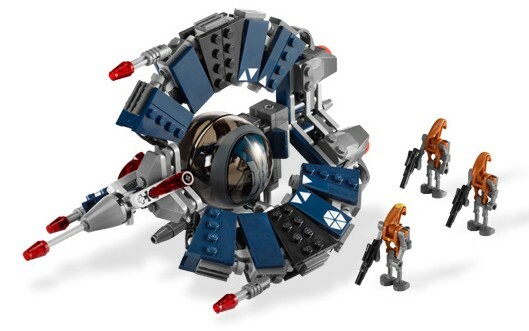 The cupola shaped bowl is from 8086 Droid Tri-Fighter (and the part is unique to this set). This is also likely where the chain of bricks on the top comes from - it forms the arch of the Tri-Fighter. The propeller-blades are part of the nose of this model. 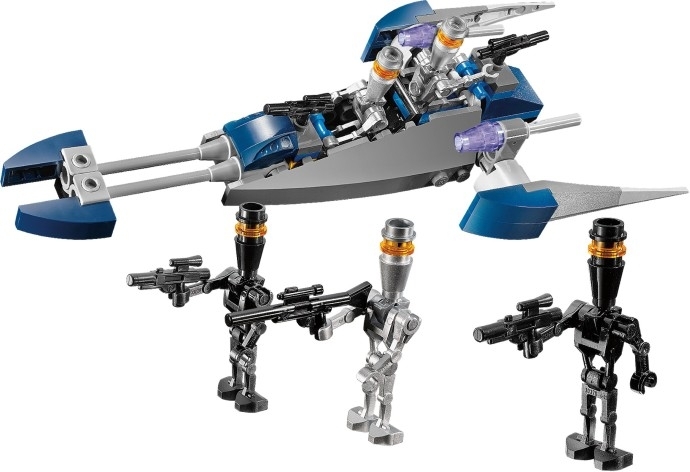 As has been mentioned in other answers, the dark blue pieces, yellow technic bricks, long rubber spikes, and long grey guns all appear in 8015 Assassin Droids Battle Pack. It also looks like you have parts of the droid minifigures. 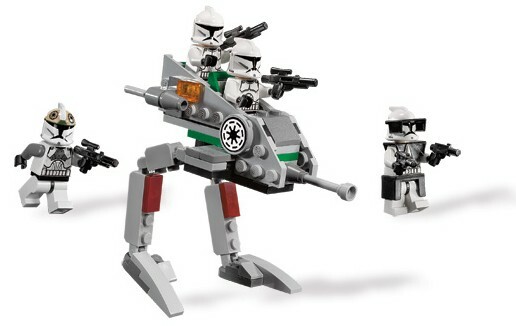 It appears that the collection also contains parts of 8014 Clone Walker Battle Pack, which was released at the same time as 8015 Assassin Droids Battle Pack. 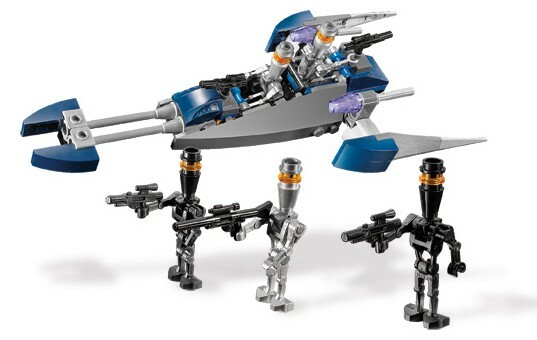 The grey triangular plates, round tiles stickered with the Republic logo, and two clone troopers all appear in this set. The yellow hands and head would have been mixed up by the set's previous owner. I'd say you have multiple kits there, but a big chunk of it appears to be the Assassin Droids Battle Pack (Item No 8015-1 and instructions are available). The Assassin Droids only came in that pack. Kit 8015-1 does not include any Stormtroopers so those came from somewhere else. There are lots of Stormtroopers out there. I couldn't find those helmets on BrickLink. Not the answer you're looking for? Browse other questions tagged set-identification star-wars or ask your own question. What are these Technic sets with figures? Which LEGO set did these small tan, grey and tan bricks come from?